Drive 40 minutes north of Melbourne, cross the Great Dividing Range, and you will drop into the electorate of Indi. Keep driving north and you’ll travel another three hours before you cross the border in NSW. Indi is an electorate of catchments – the King River, Ovens River, Kiewa River and Mitta Mitta River – and it provides 38% of the water supply to the Murray Darling Basin. It is, most definitely, a rural electorate. And it is to my biased mind, one of the most interesting seats this election. On Tuesday No Fibs published a story by Van Badham on how Tony Windsor and Rob Oakeshott, and now Cathy McGowan have breached the rural-urban political divide and put rural politics on the agenda. (Latte-sipping city slicker @VanBadham gives thanks for rural independents and sees a new dawn for values in politics). Those of you who follow rural politics might remember the brilliant Quarterly Essay by Judith Brett following the 2010 election, Fairshare: Country and City in Australia. She outlined the ‘neoliberalisation’ of rural industries, a steady retreat of government funding back into major city centres and the enormous successes of the three rural independents in securing post election funding for their electorates. Neoliberalism isn’t new and no one is arguing an alternate case (excepting perhaps the Katter Party); rural electorates are left to forge their own path. 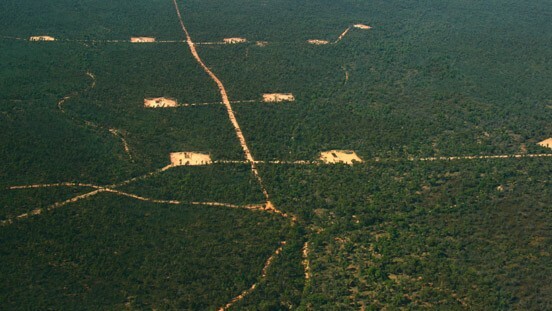 Tim Fischer aptly described the situation in the same essay, stating that he was “fed up with people saying the government is doing nothing – it is. But rural communities must respond with courageous leadership and motivation”. 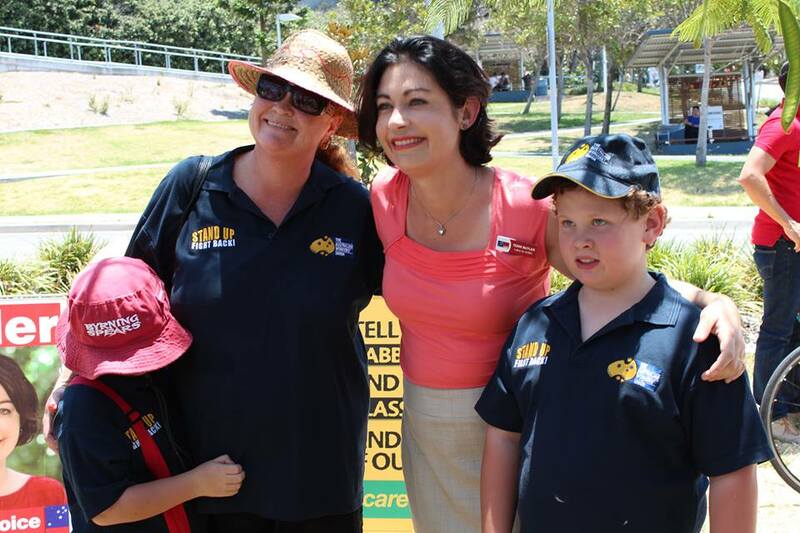 In 2010, communities in the electorates of Kennedy, Lyne and New England supported strong independent campaigns and had come in for pecuniary attention from the new government. It gave those of us sitting in safe, rural seats a look at what we were missing out on and what was possible. Rural politics is about networks. In our Victorian state seat of Murray, Ken Jasper won ten straight elections and won all 29 booths in his final election in 2006. His advice to this political novitiate was simple – in rural politics, remember peoples names. 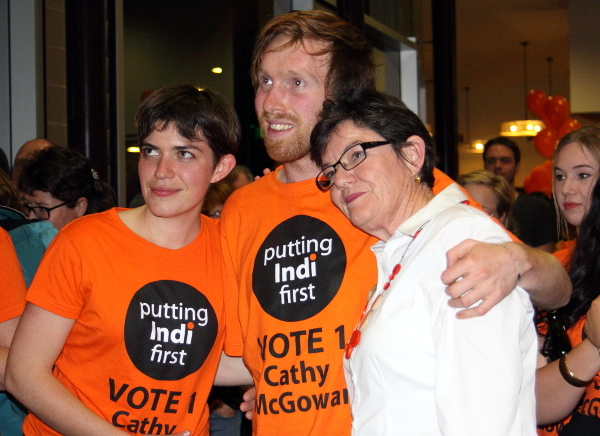 Cathy McGowan knew all the names, up the valleys and across the catchments and when we called her up she was willing to consider some sort of political action in Indi. The call was put out through the rural networks and we had a meeting. Discreetly, quietly, we drifted into the Wangaratta Library’s community room for a clandestine meeting. Discreetly because we were on the home turf of the powerful Liberal incumbent, and quietly because we’d come from all parts of the electorate and knew some, but not all, of the other political dilettantes. Would we do anything about politics in Indi? Every two weeks we met in the community room to ask the same question. On the third time we decided that we would. We would try and make Indi marginal. But first of all we’d gently check to see whether the rest of Indi was interested. We took our lead from the Purple Sage Movement run by the Victorian Women’s Trust before the 1999 Victorian election and subsequently linked to the downfall of Kennett in his ‘un-losable’ 1999 election. At that time, the Purple Sage Movement was responding to “a widening gap between the rich and the poor, continued high unemployment, reduced standards of community service, increased strain on local communities (especially regional Victoria), the loss of public assets, racism and social tensions, and a serious erosion of our democratic rights and culture”. In our pretty well uncontested federal electorate we couldn’t help but feel a little bit the same way. So we would follow the purple sage model: gathering around 10 people together to talk about politics around the ‘kitchen table’. We created an incorporated body called Voice for Indi, set up a webpage, and pushed the project out through the networks. 40 people came to explanatory sessions at Wangaratta. Twice. Sessions were full at Wodonga and Benalla, and we even had people turning up in Mansfield. The 12 of us would go to as many sessions as we could to explain ourselves; the more of us who turned up the more legitimate the project seemed. Following three months of promotion we had gathered kitchen table conversations from 425 people who participated in 53 conversations across 39 postcodes. Within these ‘conversations’ there was a plan: what we wanted for our electorate, what we wanted from our representation and what issues we wanted addressed. We’re now trying to take this plan to Canberra with the Voice for Indi endorsed candidate Cathy McGowan. Those 425 Voice for Indi participants have been added to the 12 original volunteers and we’re now working on one of the most exciting campaigns of this election. Our odds have come in from 50:1 to 3.5:1 and we’re a good chance of winning the Federal seat of Indi. Indi is back on the political radar with both funding announcements and cabinet backbenchers coming to a former political backwater. Talking about politics around the kitchen table with friends and family. And now talking about politics across the whole electorate. With a bit of luck they could be talking about our style of rural politics in Canberra next year. and you know what? it’s made politics fun and exciting! trying to engage people in political debates before Voice 4 Indi came along was like watching snow melt. people were just not interested. now you just have to look at the political forums taking place within the communities and the on-line chatter through Facebook and Twitter. it’s grassroots democracy at work! Indi is back on the map and the old parties should take note. The incumbent is now spending an enormous amount of funds to catch up. Over the last two weeks I have received two typed letters, 3 glossy propaganda brochures and for the first time ever, received a robo call on the land line. TV ads are in prime time, constant spruicking can be heard on the radio stations and all for someone who has a comfortable majority. The best part for me is the money the Liberals are wasting, probably to the detriment of other candidates in other seats. Sophie has had at least three terms to show some caliber in the electorate and has failed miserably. Everyone that I know in my town at the edge of the electorate made their minds up long ago to put Mirabella last. It is time for someone else to take her place. Regardless of who wins the seat, Indi has now been noticed in Canberra. Thanks Cathy and team. It has certainly dismissed my lethargy and disillusion. I’m loving reconnecting with people and talking politics again. Oh how I’ve missed it. Yes democracy back where it should be, with the people. My sincere gratitude to all those brave people who got this thing airborne. It is indeed refreshing to see a campaign like this. There is no doubt, the major parties do dish up some very good members of Parliament, and some very bad ones. It would appear that Indi has been dished up a doozy, and for Ken Jasper (former Nats MP) to switch camps and support Cathy speaks volumes. It’s a shame more areas of Australia don’t have the same get up and enthusiasm to evict non performing members of Parliament. I wish your campaign great success!